Do you have lots of files? Do you forget which file has what? If you have many files that you manage for your writing, your research, or classes, you can use Finders Keepers™ to search files fast. Save time with the fastest searches available. Advanced searches: regular expressions and approximate. You can try a fully functional copy of Finders Keepers™ for free. See how it makes working with files easier. If you had your writings on paper in your hands, you could shuffle through the pages and find what you are looking for. But your writings are in computer files and who knows what is where. You could move along faster if you could remember which files contained the word you are thinking of. Finders Keepers™ has four kinds of searches. even if the word is misspelled or only sound-alike. 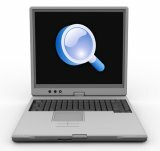 You can index text files for instant search results. You can do simple searches a beginner can do. Or you can set options for advanced searches. You can make replacements in text files safely. You can control how your results appear. And you can open found files with methods you choose. Download Finders Keepers™ and Try It for Free!